I know, the blog has been slackin’, but I promise I am still eating amazing foods! If you follow me on Instagram, you probably already know this. FOODIE FOR LIFE. Anyway, I have a new toy – a sous vide toy and I have been playing around in the kitchen with it. This time I made one of my all-time favorites: YUCA! I cooked it at 180 degrees for 2.5 hours. The yuca was cooked with squeezed lime juice and garlic salt. It was then quickly fried until golden on each side. One thing I’d change? I’d probably cook the yuca at a higher temperature. Yuca is extremely starchy, so it takes awhile to really cook it down to tender. Next time I will try to cook it at 200 degrees for 2.5 hours. The yuca was good, but not as tender as I’d like it to be. But remember, sous vide is all about preference. 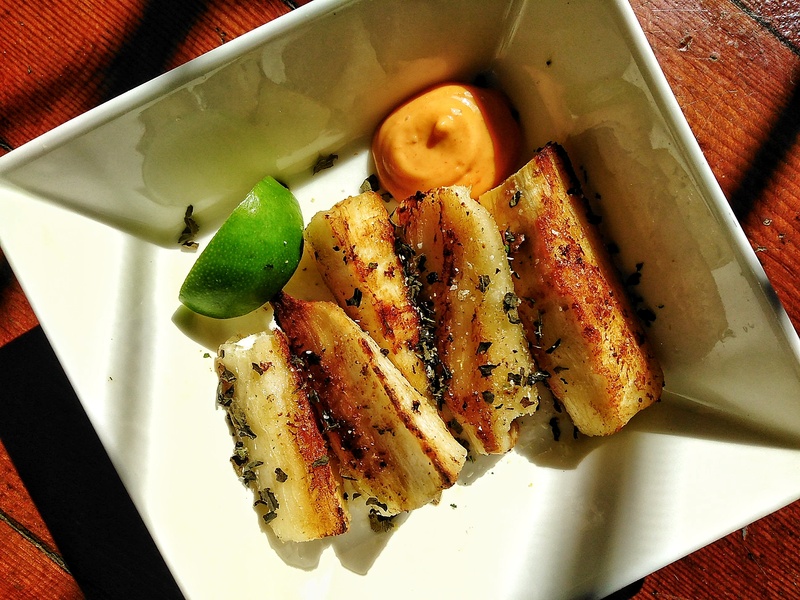 If you like your yuca on the harder side, this recipe might be just for you. Add all ingredients to a bag and shake it.